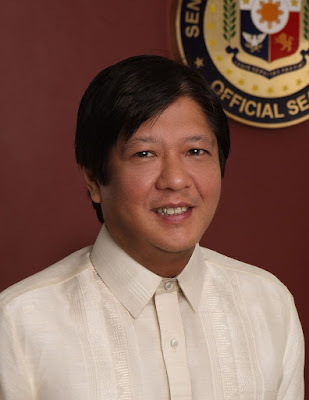 MANILA, Philippines - "I have decided to run for Vice President in the May 2016 elections," Senator Ferdinand "Bongbong" R. Marcos, Jr. said in an official statement on Monday night, October 5, 2015. Marcos discounted running alongside opposition leader Vice President Jejomar Binay and said all those talks of teaming up with certain leading presidential candidates have been mere speculations. "I flew to Davao City on Wednesday and consulted with Mayor Rodrigo Duterte. He was gracious enough to promise me his support should I decide to run for Vice President. I too will support Mayor Duterte if and when he runs for President," he added. Marcos revealed he was invited to be Binay's Vice-Presidential candidate. "There were initial talks between our supporters. But any team up with the Vice President must be rooted on a shared vision for our country, a common platform of government as well as political perspectives," he added. "Unfortunately it would be difficult for me to tame our political differences." "For one thing, I believe that elected officials have an obligation to our people to help change the course of our nation’s history by banishing the politics of personality which to me is one of the primary causes why our country today has become a soft state where the rich become richer, the poor become poorer, graft and corruption is endemic, the drug menace pervades, injustice is the norm and government incompetence is accepted." "Consequently, I have decided to put my political fortune in the hands of the Filipino people. I humbly ask them to judge whether or not I am worthy of their trust to be Vice President on the strength of my performance as a public servant in the last 26 years: first as former Vice Governor and Governor of Ilocos Norte, then as Representative of the 2nd District of Ilocos Norte and, finally, as Senator of the country." 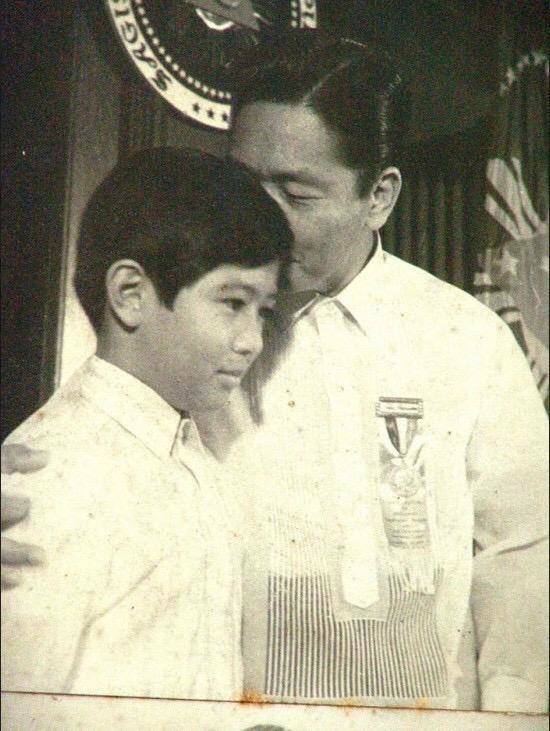 Marcos entered politics when he was elected vice governor of Ilocos Norte in 1981 at the age of 23. He eventually became the governor of the province from 1983 to 1986. He is a former congressman and former governor of Ilocos Norte before his election to the Senate in 2010. Marcos also previously served as Deputy Minority Leader of the House of Representatives. The second child of Ferdinand E. Marcos made the announcement following the bid of Senators Alan Peter Cayetano and Antonio Trillanes IV, fellow members at the Nacionalista Party. On Monday morning, Camarines Sur Rep. Leni Robredo also made the declaration as Vice President of Mar Roxas under Liberal Party.